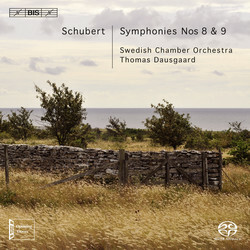 In 2008, to great acclaim, Thomas Dausgaard and the Swedish Chamber Orchestra completed their 3-disc cycle of Schumann's symphonies. Gramophone described it as 'riveting' while the German website klassik.com awarded it the claim of reference recording. The reviewer in Fanfare was struck by the excitement Dausgaard and company offered the listener ('what a ride . with sawing violins smoking down to the bridge and timpani-like rifle shots') while his colleague in International Record Review called the result 'the most perceptive Schumann cycle in over three decades'. 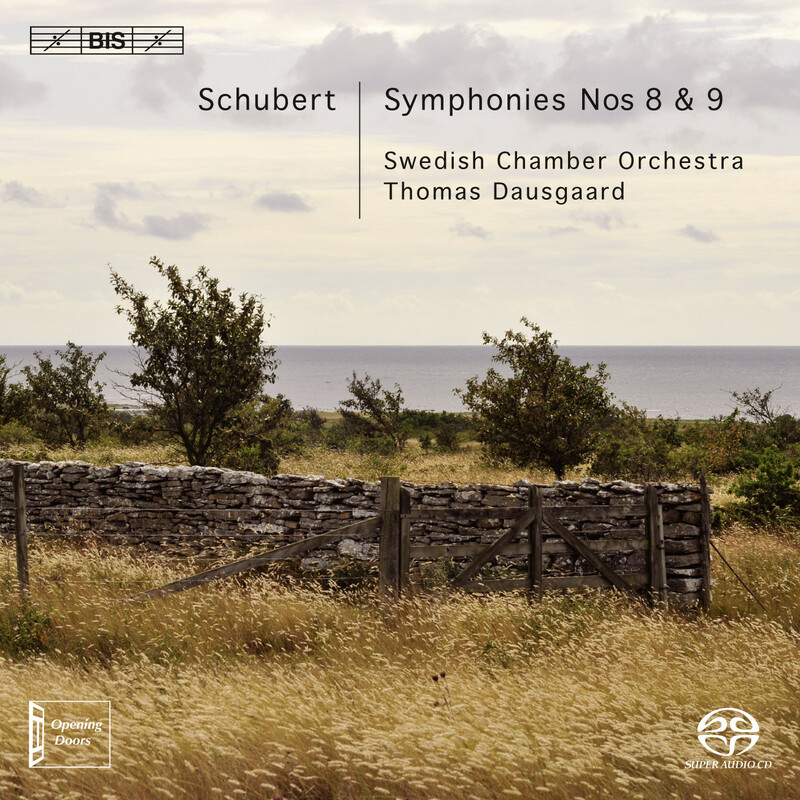 Together with a recording of Dvorák's Sixth and Ninth Symphony released in 2007 the Schumann discs belong to a series entitled 'Opening Doors', in which Dausgaard makes a case for performing 19th-century symphonic works with a chamber-sized band. The turn has now come to Franz Schubert and his final works in the symphonic genre: the 'Unfinished' (Symphony No.8) and 'the 'Great C Major' (No.9). Both of these are also the most celebrated of all Schubert symphonies, which makes it all the more ironic that the composer never had the opportunity to hear them performed. As for the Eighth, with its distinctive, mysterious opening, it is not known why Schubert didn't complete it: a few jotted-down bars of a third movement is all that we have. The most likely explanation may simply be that Schubert remained unsatisfied with all of his attempts to match the degree of innovation achieved in the first two movements. The Ninth, on the other hand, does run its full course - and most gloriously so, with a Finale of exuberant festiveness. Unfortunately for the composer, the great (or, as Schumann put it: 'heavenly') length of the symphony and the technical demands it placed on the orchestra caused the only performance planned in Schubert's lifetime to be cancelled. In 1839 the score was found among his papers by Robert Schumann, and received its first performance shortly thereafter by Mendelssohn conducting the Leipzig Gewandhaus Orchestra - eleven years after the composer's death.